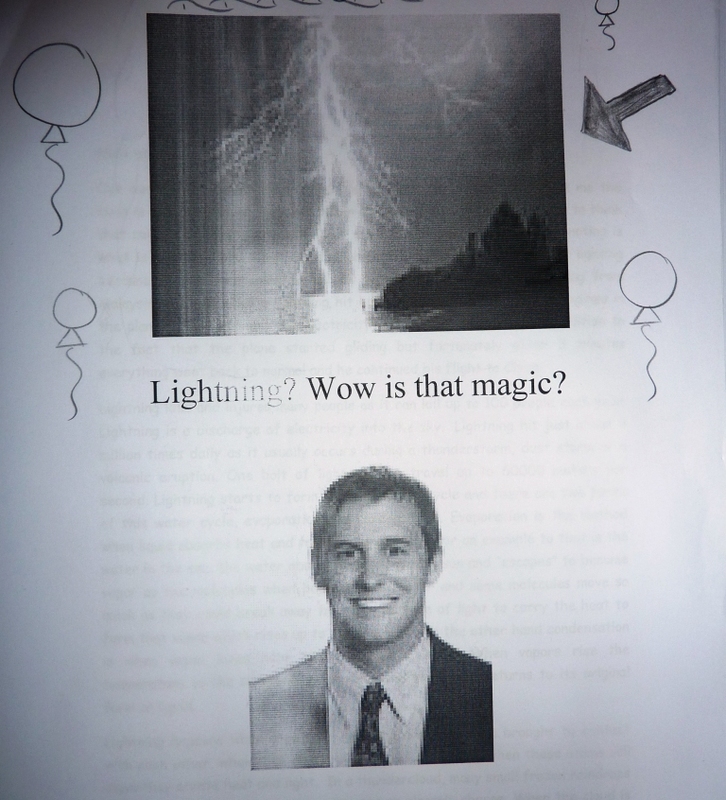 Physics Extra Credit: Lightning? Wow is that magic? An lastly… this has been kind of a running joke all year, so don’t think this is 100% serious (though I don’t think it’s 100% a joke too). The student put weird covers on all his lab reports and I would jokingly give him bonus points and then take them away for other things. I don’t want you to think my 11th graders are like 3rd graders (the actual project was pretty good). The guys here are so funny – I do these surveys to assess my teaching and some of them draw little hearts all over or write out “<3” instead of drawing a heart. Complete goofballs, and I fit in so well! Posted on June 16, 2010, in Physics, Teaching. Bookmark the permalink. Leave a comment.